Grow presence for derma e natural bodycare. Awareness increased and so did sales. 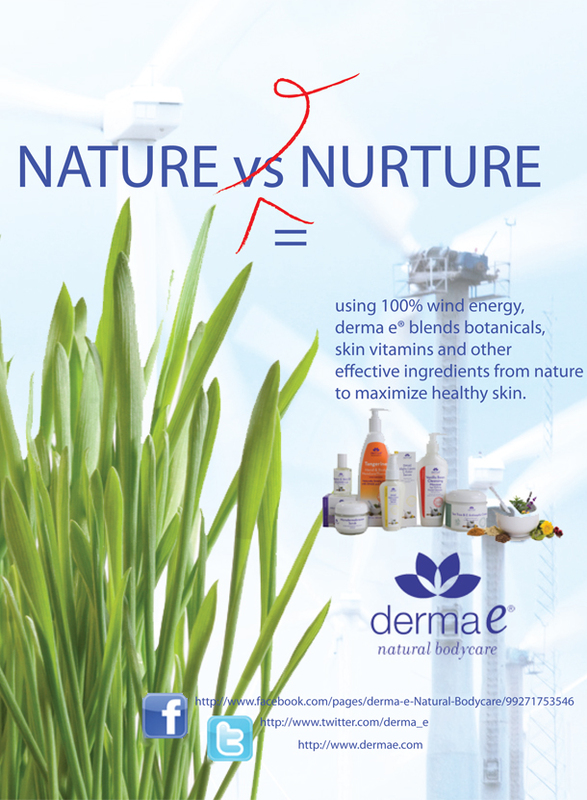 The story is blowing in the wind for derma e. From the environmentally conscious manufacturing and business practices to the natural ingredients that are blended together for efficacy, the company is green and the story is mean. Utilizing a blog from co-owner Linda Miles DOM, the story unraveled through social media and traditional advertising. Find derma e online or at your local natural products retailer.